Where in the World is the Observer? The largest carnival parade in Aruba is the Grand Parade through Oranjestad, the capital of Aruba, the Dutch Island in the Caribbean close to the coast of Venezuela. 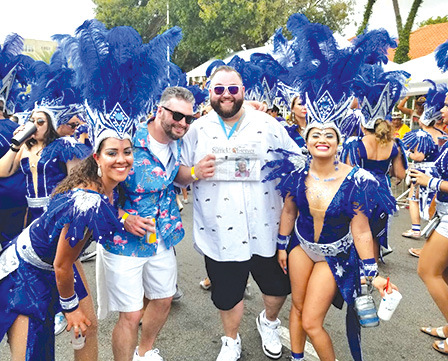 Chris McMann and Andrew Laureno (with the paper) report that they were elated to share the Observer with fellow revelers amidst music, luxurious floats and costumes decorated with a wide variety of colorful stones and feathers. Tony Bermani of West Suffield took his cross-country skis and the Observer as he embarked on a solo ski and camp adventure in Yellowstone National Park in early February. 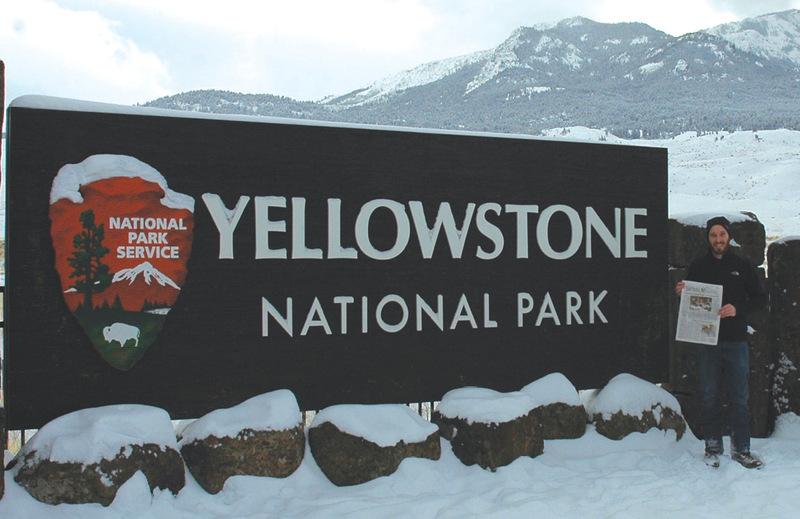 He and the Observer are pictured as he started out by the park sign near Gardner, Mont., the only winter access to Yellowstone. He reports that he navigated by GPS on four-foot-deep snow and reassured his family by cell phone along the way, completing the trek in eight days.